The exact details are, of course, confidential. But several months ago, the teenage daughter of a prosperous Russian decided that she wanted to do something outlandish with her talent for playing the organ. She asked her father to somehow arrange for her to perform at a peculiar venue: the Notre Dame Cathedral in Paris. The 7,800-pipe Grand Orgues at the cathedral is a historical masterpiece with many of the pipes dating back to the medieval times. The cathedral employs three full-time organists. They are the latest in an unbroken line of musicians that dates back to 1392. While guest organists are invited to play all year-round, the invitation is an honour and not easy to come by. Least of all, to a young Russian teenager. Her father reached for his mobile phone, but not in the way most people do. With a press of a button purposebuilt into his Vertu phone he summoned up an exclusive Vertu concierge service. “These are the kind of requests that are really interesting," Mark Izatt told me over lunch at The Foresters country pub in Church Crookham, around 40 miles outside central London. Izzat is head of enrichment and engagement. It is his responsibility to build, nurture and diversify the push-button concierge and content service that the luxury mobile phone brand is perhaps best known for. Buyers of each and every Vertu handset—devices in India start from around ₹ 3 lakh—are offered a year’s complimentary use of the service. And it is a service that works. “Eventually we located a service partner in Paris who used to provide us with chauffeur-driven cars. He knew someone at the cathedral," Izzat said with quite visible delight. One Saturday, a few days later, the teenager played the organs of Notre Dame Cathedral for a full 40 minutes. Church Crookham is a village suburb located largely within old army land. It sits close to Aldershot, called the home of the British Army, and Farnborough airfield, which hosts the renowned Farnborough airshow every other year. From the high, bright, roomy lobby of the Vertu facility at Church Crookham, one of the company’s receptionists told me, visitors get a brilliant view of the airshow display through the large glass facade: “It is like watching a cinema just for us." Unlike almost any other mobile phone company, and indeed almost every consumer gadget firm, Vertu has consolidated its entire operation into this one facility comprising almost 500 employees. Everything from assembly, packaging, software installation, design, development, engineering and administration is carried out at this single facility. Tailored services: Mark Izzat, head of enrichment and engagement. Inside the building employees, like watchmakers, sit hunched in overcoats leaning over worktops carefully putting together phones. Many popular mechanical watch movements comprise 300 parts or more. So do some Vertu models. The parallels go on: the phones are constantly tested at each stage for form and function flaws. Some of the phones are assembled by a single craftsman and often the craftsman’s signature is etched into the phone’s battery compartment with a laser. It is not unusual, explained Matthew Huntley, for existing customers to come back, buy a new phone, and ask that the new piece also be assembled by the same craftsman who made their old one. Huntley’s job is to take visitors such as journalists, Vertu customers and retailers on factory tours. But “factory" is perhaps the wrong word to use here. That might give the impression of a massive Nokia or Foxconn plant where thousands of devices are put together by a combination of conveyor belts, machines, robots and the occasional human being. The Vertu manufacturing setup is better called a “workshop". There isn’t a single conveyor belt in sight. Huntley explains that each device is worked on one at a time. Devices are assembled by between one and four craftsmen. The company almost never builds to stock, and most handsets are made to order. Vertu’s origins date back to 1998 when master designer Frank Nuovo first drew a sketch for a luxury mobile phone. One legend has it that Nuovo, who was Nokia’s chief designer at the time, was travelling in a car when he suddenly realized that the only non-luxurious product on him was his mobile phone. 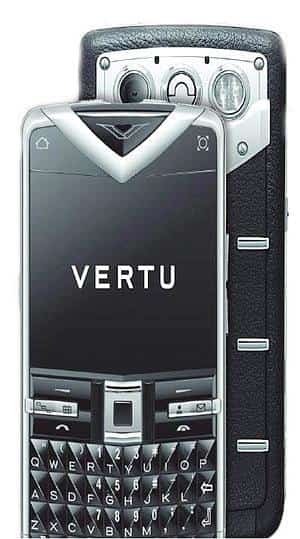 In January 2002, the first Vertu Signature phone was launched in Paris. There were more than a few things obsessive-compulsive about the phone. “While we have always remained true to those initial design concepts," explained Hutch Hutchison, “we have also changed a lot to accommodate for developments in mobile phone technology." Hutchison is head of concept creation and design at Vertu and swoops in for our meeting with boxes of Vertu phones and components in his hands. Before launching into a tremendously excited description of what research and development goes on at the facility, Hutchison carefully arranges a dozenand-a-half phones into a neat family tree of the brand’s three main collections: Signature, Ascent and Constellation. It is easy to dismiss Vertu as yet another brand that takes a mundane product, coats it in gold and diamonds and passes it off as a “luxury product". No doubt, there is an element of bling to some of Vertu’s products. But there is also some serious engineering. Part of the challenge, Hutchison expains, is to combine the solidity and permanence one comes to expect with expensive luxury products, with the rapid changes that takes place in technology. When it comes to watches a tourbillon is a tourbillon. The materials, designs and assembly may have changed over the centuries. But the concepts behind a timepiece’s movement remain unchanged for decades. Even centuries. But not so with phones. “Our first models didn’t even have Bluetooth. And we had dual-band antennas. The latest models have eleven bands! Eleven!" Hutchison explains how the early Vertu models had modular electronics. When the phone had to be upgraded to quad-band antennas, the module was slipped out of the phone and replaced with a new phone. This process seemed to work well till, Hutchison says with a look of past frustration, “someone invented a mobile phone with a camera!" Now there was no way to change the module without actually drilling a hole through the case-back for the camera. What will truly impress most technology and engineering fiends, however, is the fact that Vertu has a portfolio of some 75 patents. Granted, most of these patents may be for design and fabrication processes, and the number pales in comparison with the thousands of patents held by Motorola Mobility and Apple. Yet for a brand that focuses, purportedly, on luxury more than technology, this is an impressive number. For all its conceptual sophistication, manufacturing quality and material innovation, Vertu phones are, however, not particularly well-known for their software. Devices currently house versions of Nokia’s reliable if unspectacular Symbian operating system. Nokia has already announced that it is shifting from Symbian to Microsoft’s new Windows Phone 7 software soon. Vertu, which is no longer a subsidiary but an independent company still owned by Nokia, is also at crossroads when it comes to software. At one point during Hutchinson’s presentation, a phone in his pocket rang with a piece of symphony. He almost pulled it out. And then he remembered that it was a top secret prototype that the brand has been working on for months. He refused to answer it, lest I catch a premature glimpse. Rumours have been swirling around for weeks. In August, Eldar Murtazin of Mobile-review.com tweeted that future Vertu phones could be powered by Windows Phone 7. It also seems a reasonable assumption that the new product could incorporate touch features. 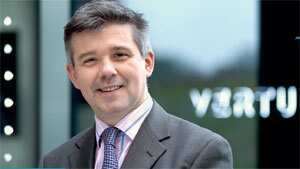 All that Vertu staffers were willing to confirm was that a new phone is due very, very soon. So far, Vertu has made up for its operating software shortcomings by focusing on two things. First, both Hutchison and Izatt explained, many customers do want phones that are primarily voice-enabled. So the brand has deliberately done away with distractions such as cameras on some models. Secondly, why worry about giving customers software when you can empower them with live human intervention? This is where Izatt’s baby, Vertu’s concierge and content service come in. In the time it takes you to use an Apple app to find the nearest restaurants, Vertu’s global concierge service can recommend, reserve and confirm your table. Izatt says: “Imagine you’re at the airport when you realize you don’t have black shoes for your meeting the next morning. Press the button, tell the concierge service you need a pair of size 10s. You should have your pair waiting for you at your hotel when you land." The concierge service might seem like a quirky perk that sounds better in principle than in practice. Like watches that insist they are water resistant to 300 metres, or the centrifugal juicer attachment on your food processor. And besides waiting for the customer to request assistance, the company is also actively working on curating and delivering high-quality and high-impact content. Vertu City Briefs is one of these offerings. In association with editorial partners, Vertu has prepared profiles and recommendations for more than 200 locations—including, incidentally, Church Crookham—all over the world. The City Briefs automatically pop-up on handsets based on location. Izatt explained: “We are not just trying to give people the usual ideas to have a good time in a city. We also try to be a little provocative. So not all our restaurants or hotels are four or five-star. Some of our recommendations may not be exactly what you call luxury." To ensure the quality of services rendered, Vertu involves a number of hand-picked providers for the concierge service, with Vertu managers embedded right within engagement teams. Currently, concierge teams are localized for eight regions including Russia, China and North America. As the market grows, Izatt said, an Indian version will roll out as well: “Though it is going to be a tough and fulfilling challenge. There is so much diversity within one country. And India is very demanding when it comes to service and luxury. But Indians like personalized service. I think they will appreciate our concierge offerings." The lobby with the huge glass panels is abuzz with construction activity. After the financial turmoil of 2008, Vertu staffers say that the company has bounced back, much like many other luxury brands. Now it is looking to add perhaps another 100 or so staff, many of them craftsmen. If all goes according to plan, these craftsmen will assemble the next generation of Vertu luxury phones. While these will also be crafted with the same high standards and same high-tech materials—crystals, resin-laminated carbon fibre, forged titanium—these phones could also see better software, robust hardware and more sophisticated concierge and content services. Izatt and team are working on a new bespoke concierge service where the company will hire, train and deploy lifestyle managers to client requirements. Izatt is also seeking ways of taking all that content such as City Briefs and “extending it to more than just the screen of your Vertu". All the while his team of writers, editors and journalists scour cities for topnotch recommendations. For those who foresee being prosperous later this year, the first thing to do with that cash is perhaps to buy that new Vertu. From that point onwards, you’ll get all the help you need.